Fire crews are on the cusp of containing the largest wildfire in California history. The U.S. Forest Service believes the Mendocino Complex Fire in Northern California will be fully contained by September 9th. It’s been burning since late July 27th and is so far 98-percent contained. 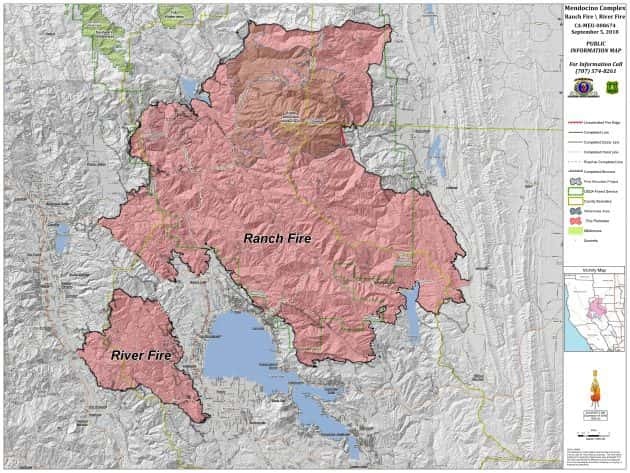 Of the two fires forming the Mendocino Complex, the Ranch Fire is the one still eluding containment. It’s also the bigger of the two, having burned over 410-thousand acres. In total, the Mendocino Complex Fire has burned nearly 460-thousand acres.